Arsenal have now won 12 points in games against the big six in the Premier League this season – a fine record under new manager Unai Emery. The Spanish tactician took on a tough job in the summer when he replaced the long-serving and legendary Arsene Wenger at the Emirates Stadium. However, it hasn’t taken long for Emery to make his mark at Arsenal, and he’s rather impressively managed to double the points tally of the club in these big six clashes from last season, according to the tweet below from Opta Joe. Wenger’s Arsenal took only six points from those games last season, but Emery has clearly made an impact as his side won 2-0 against Manchester United today. This follows strong showings at home to Tottenham and Chelsea as well – two games which also ended in Arsenal victories. 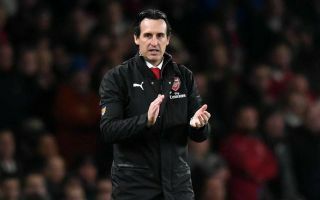 Emery’s side have also drawn 2-2 away at Man Utd, and 1-1 at home to Liverpool, showing some progress has been made from a disappointing end to Wenger’s reign.